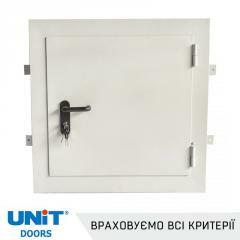 LLC Promtekhnokom makes fire-prevention doors, gate, hatches of the UNIT trademark. Also makes the licensed installation of metal fire-prevention doors, gate, windows, hatches, screens, valves with rated restriction of fire resistance. Quality of installation is guaranteed by high professionalism and qualification of master assemblers of LLC firmy promtekhnokom. 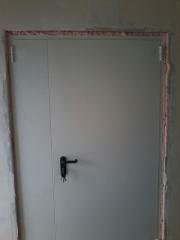 Unbelievable price on Fire-prevention gate, doors, UNIT hatches. Installation in Zaporozhe (Ukraine) company Manufacturing firm Promtechnocom LTD.